The Clinic Coordinator will coordinate and run the day-to-day operations of the Northside clinic. The Clinic Coordinator will schedule and oversee the work of staff and volunteers and provide direct client services as needed. Time Commitment: Regular, exempt, full-time position M-F with occasional Saturday. Location: North Minneapolis clinic as primary work site with possibility of assignments at St. Paul clinic, as well as off-site meetings or appointments as applicable. Manage staff and volunteer scheduling, including daily clinic troubleshooting. Manage client advocate and client care nurse staff positions and reception, child enrichment, resource navigation, Abria U and boutique volunteers and ensure proper training for their positions. Manage and provide reception desk services. Serve as client management system coordinator for the Northside clinic; ensure quality control of data input and produce monthly statistical reports. Conduct chart reviews and ongoing monitoring of adherence to policies and procedures. Provide facility-based troubleshooting, engaging appropriate staff and external partners toward problem solutions. Oversee boutique operations including inventory management. Provide back-up to call center specialist and client advocate as needed. Comply with all policies and procedures of Abria and all laws, rules, regulations, standards and best practices appropriate to the position. 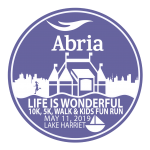 Commitment to Abria’s organizational values. We believe in: the inherent dignity of each person, from conception to natural death; the right of our clients to receive comprehensive, truthful information in a respectful and compassionate way; and the importance of addressing the needs of the whole person – physical, emotional, spiritual and social – when providing services. Dedication to the life-affirming belief in the dignity, sanctity and worth of every human life. We do not perform or provide referrals for abortions. We do not recommend or provide artificial contraception. We promote healthy choices regarding sexuality that both honor the dignity of the human person and completely avoid sexually transmitted infections and unexpected pregnancy. Professional: Effective interpersonal and communication skills and organizational aptitude. Solid command of Word, Excel and PowerPoint. Experience in administering a client management or similar system preferred. Education/Experience: Bachelor’s degree or its equivalent. 3-5 years of relevant experience. Experience and demonstrated ability in staff management. Experience in clinical outpatient services or similar setting. Experience in a non-profit or community-based organization, especially in social services or family services, is preferred. Personal: Ability to be welcoming to all visitors. Professional presence. Ability to occasionally lift up to 20 pounds. Relational: Ability to work as a team member and to accept responsibility. Ability to act independently and to seek consultation when needed. To apply, please email completed application (below), cover letter, resume, salary expectations and three references to hr@abria.org.